Ready to beam with color? 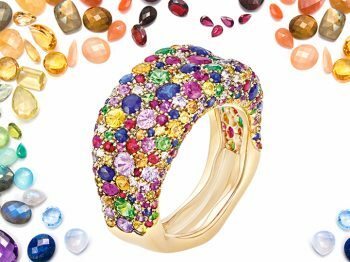 Designers are incorporating every shade of the rainbow into jewel pieces for a refreshing summery look. 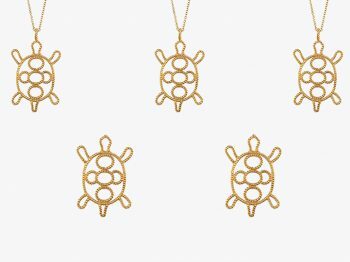 Give your jewelry routine a serious update with these cheerful pieces that come with a refined aesthetic. For sure, this festive trend will make you change your mind on how delicate a kaleidoscope of colors carefully placed on jewels can be. 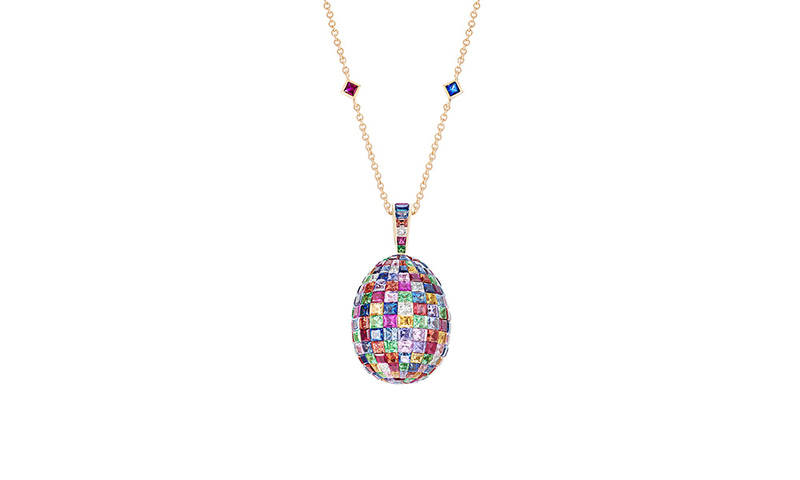 Iconic jewelry house Faberge masters the art of working with intense colors whilst giving them a new aesthetic. 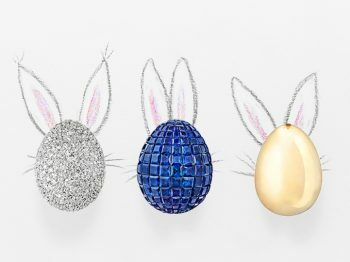 With its Emotion collection, Fabergé pushes the boundaries of design and craftsmanship whilst exploring vivid color as an emotional force and an expression of feeling. 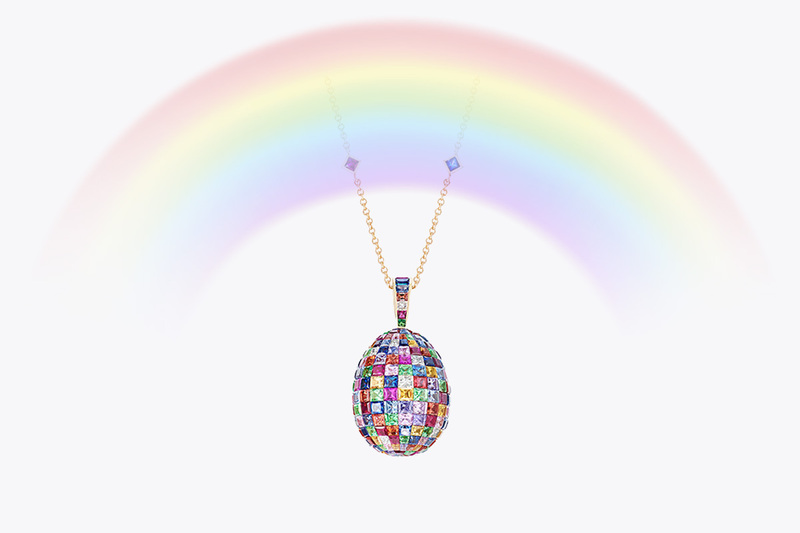 Fabergé jazzes up a classic pendant with a selection of multi-colored stones reunited together in an invisible gemset. The gems set of princess cut sapphires, Mozambican rubies, tsavorites and white diamonds of the emotion pendant create a tasteful mosaic that adorn perfectly your neck. 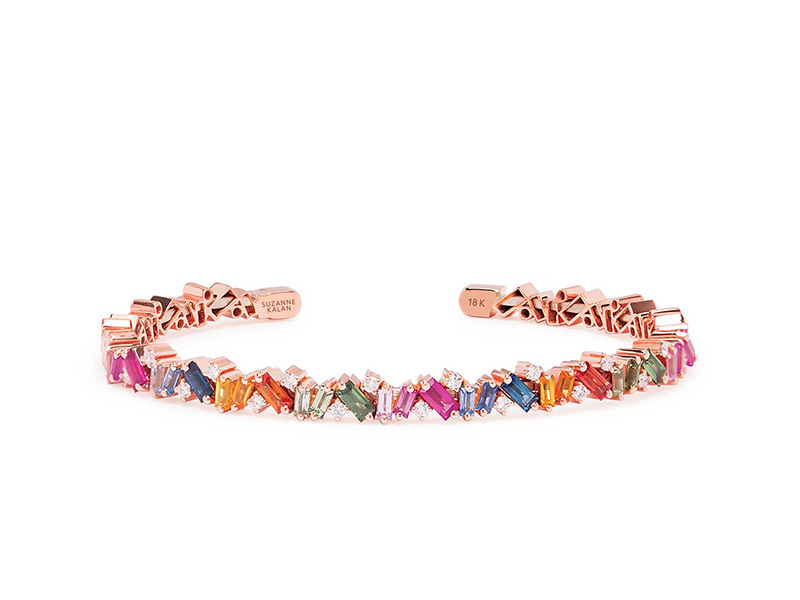 Multi-colored stones can also be modern and minimalistic when paired to sleek lines. Brazilian designer Ana Khouri revisits traditional hoops with her Mia earrings using a variation of diamonds, sapphires and tourmalines that enhance its sculptural design. Another piece of good news: rainbow jewelry match perfectly the dainty gold accessories we have collected over the past years! While summer is just around the corner, let’s join this joyful trend and spice up your arm bangle party with a multihued piece infused with holiday vibes. 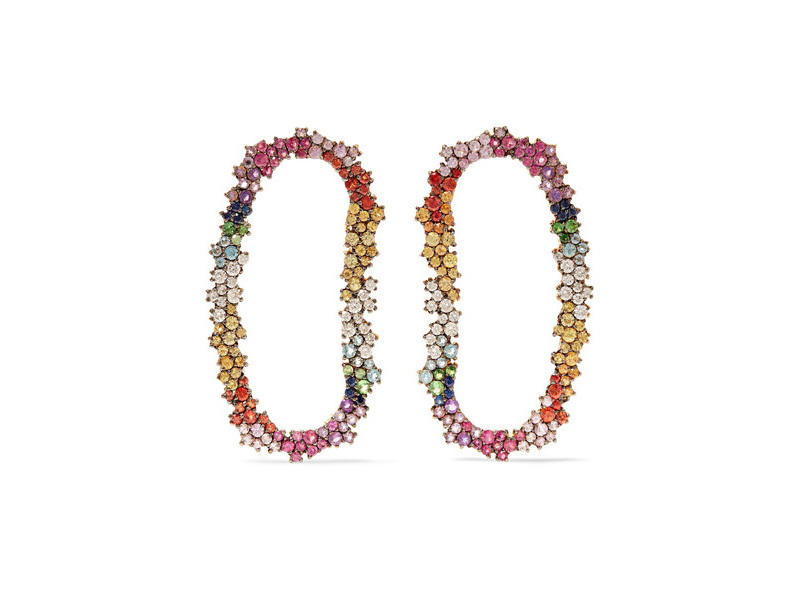 We can’t resist Suzanne Kalan’s 18-karat rose gold bangle which is intricately studded with baguettes sapphires and round white diamonds that fade from green to yellow to depict the colors of the rainbow. Definitely the kind of jewels it is worth investing in.